Opening Sentence: "One of the first things a visitor or new resident discovers about Phoenix, Scottsdale and the adjoining communities in the Valley of the Sun is the amount of time, energy and money that people here devote to enjoying life." 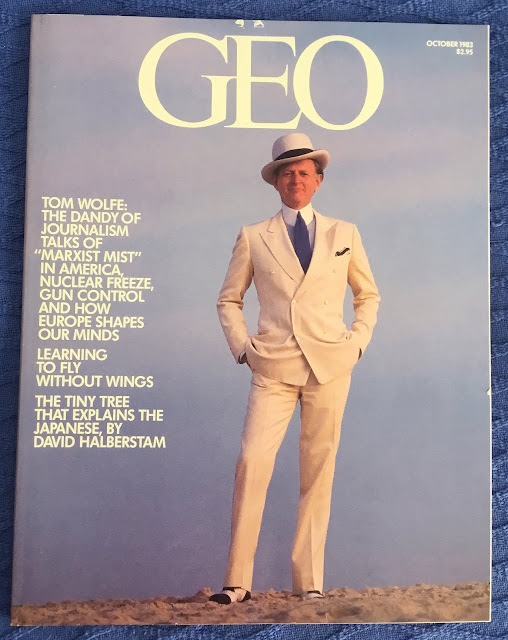 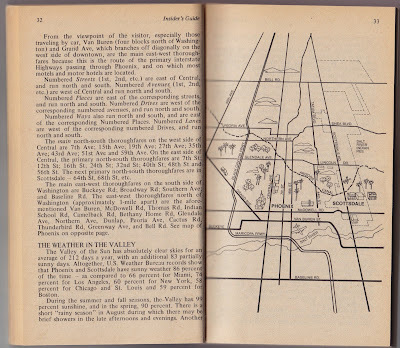 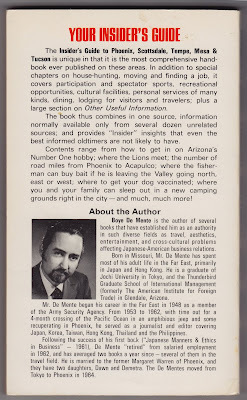 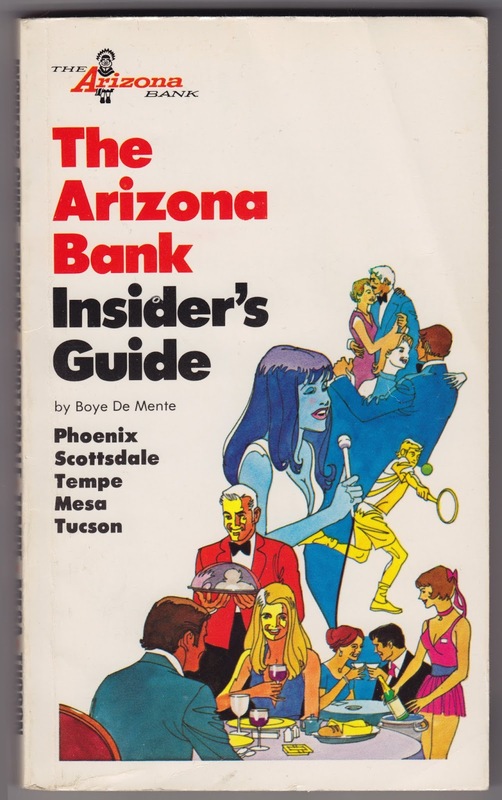 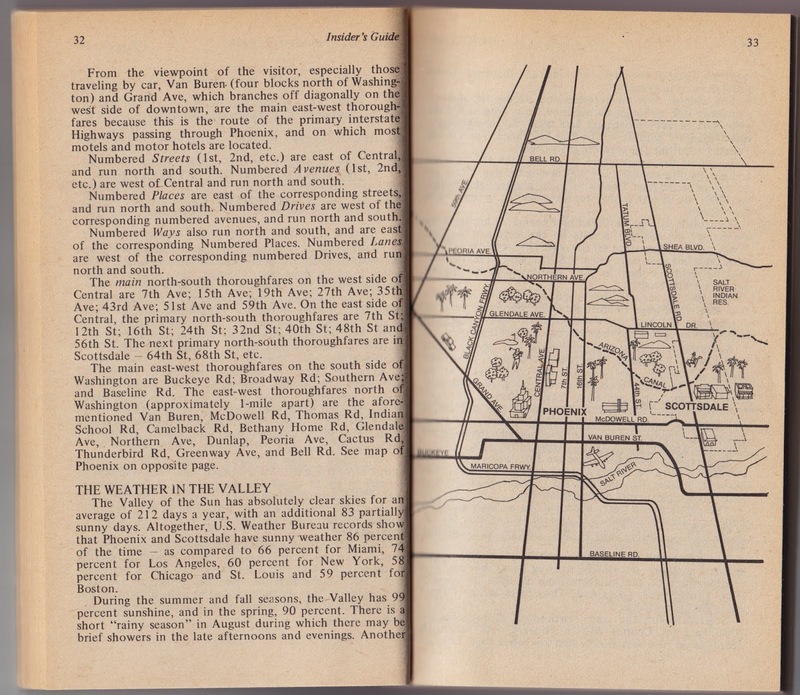 Notes: A guide to Metro Phoenix and Tucson as they were in the sunny, relatively sedate 1970s. 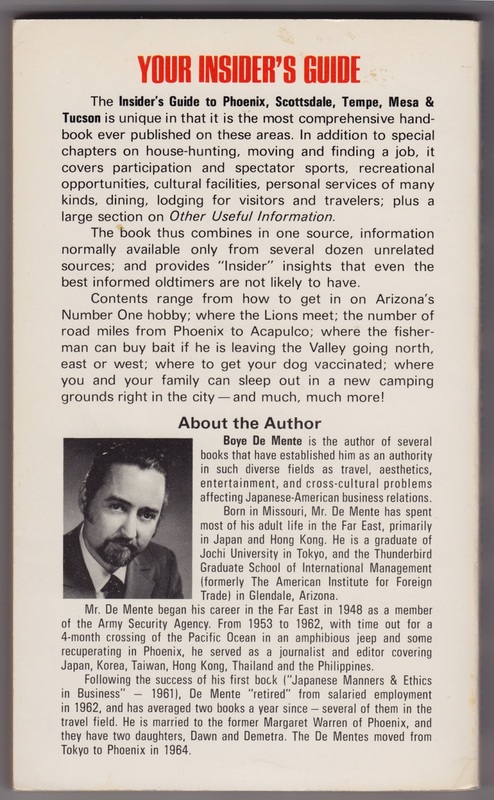 Boyé Lafayette De Mente authored many other books including Bachelor's Mexico, Face-Reading for Fun & Profit, How to Do Business in Japan, Bachelor's Japan and The Art of Mistress-Keeping in Japan.